Differentiating our instruction is the key to our students’ success! We must provide materials that students can understand at his/her level, but I know this can be a tough task! It’s hard enough to create one solid lesson that’s targeted to the entire audience, and now thinking about creating materials that will meet the needs of 25 students can be overwhelming to the think about! In this webinar, we explore tools which will make this task a bit easier. Many of the tools discussed are tech-based, and can easily be taught to students so they can differentiate and modify content to help them learn! Which tech tool was your favorite? 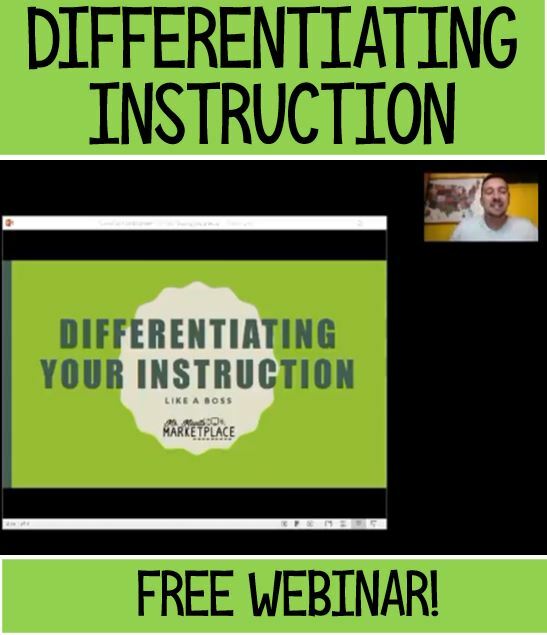 What other tech tools do you use to help differentiate instruction?